Thousands of feathers covering the body, bejewelled corsette wrapping tight as to create aerodynamic shapes, and gold metallic claws nails complete it. Serkan Cura got the grip. 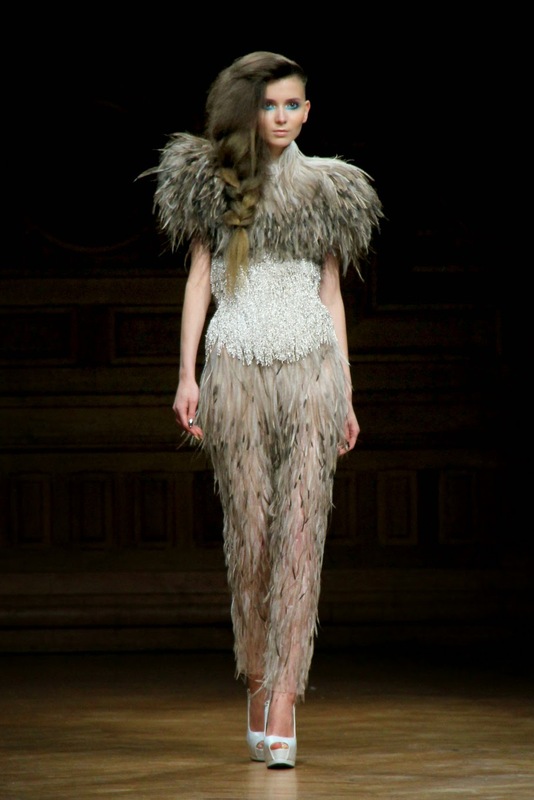 More than just a designer, Serkan Cura excells too as a plumassier, demonstrated by his latest haute couture collection. 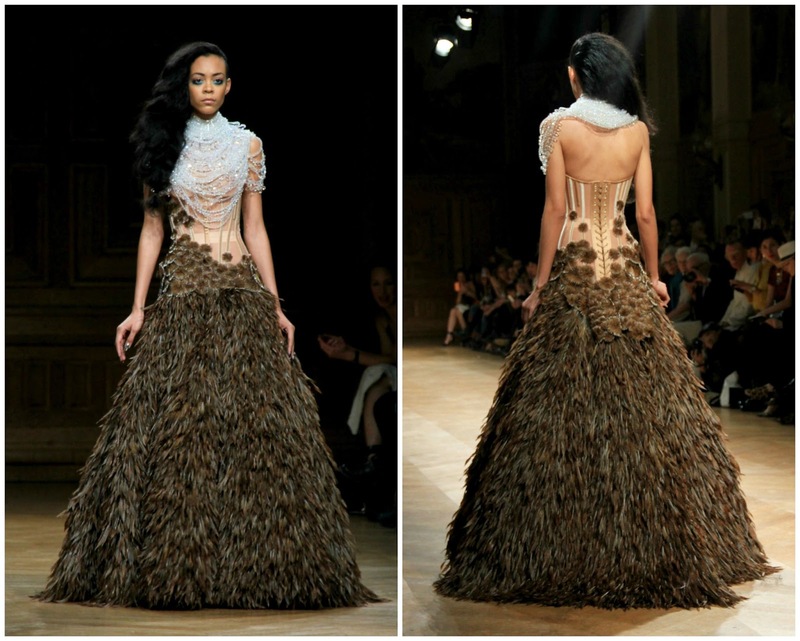 For his second show as an invited member of the Chambre Synicale de la Haute Couture, titled Goddesses of the Nile, belgian Serkan Cura flies the nest by showcasing two of his passions: corsetry (that he learnt best for years from the grand couturier Jean-Paul Gaultier), and especially feathers, his very specific interest and proven by acquiring all the stock left from closed feather store Maison Février. He probably is one of the only handful of people mastering the traditional techniques of plummasier, artisans specialised in working with feathers. Each of gown and dress requires hundreds if not thousands of bird feathers to get done, and waiting for years just to get the materials needed seems normal to him. Nearly three years of raising golden pheasants were necessary in order to achieve the dress he wanted. 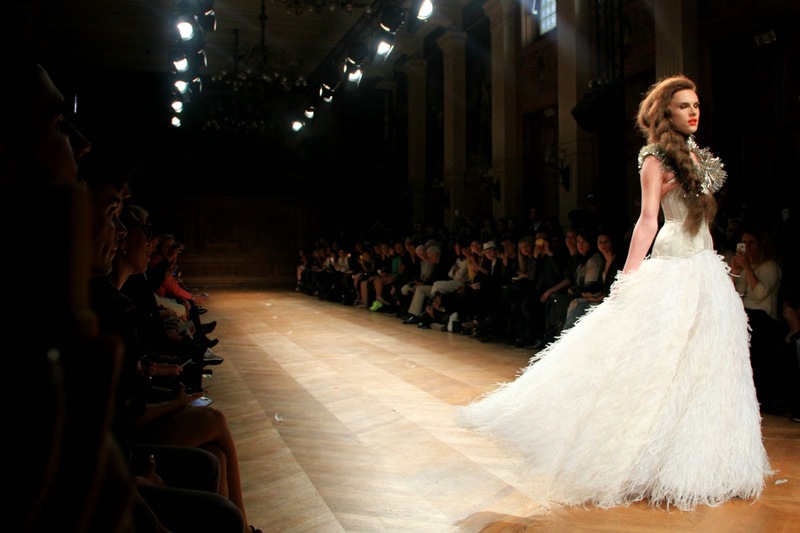 This is haute couture which is also here transformed into sheath dresses, trains, bustiers and even tailored trousers… So much celebration for a designer who, at all costs, wants to preserve artisans and the plumasier profession.